Anton/Bauer MPS, a Vitec Group company and a premier provider of mobile power systems for the medical technology industry, will exhibit at HiMSS 2013 (Booth 6348) its WPA (Workstation Power Anywhere) System for mobile medical carts. The WPA system now provides users with options for battery charging—batteries can be swapped out for continued use or plugged into an A/C wall outlet for further charging. Executives will be on-hand during the HiMSS 2013 show to demo the updated WPA system. 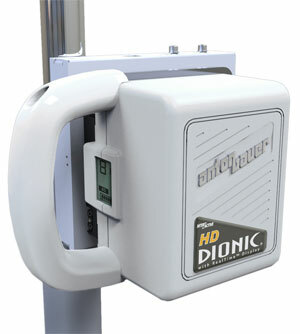 The WPA system utilizes the Anton/Bauer MPS proven technology, consisting of the company’s DIONIC Logic Series batteries, InterActive chargers and the Gold Mount system, which provides users with nearly 100 percent uptime, as Anton/Bauer Logic Series batteries can be swapped in and out without having to shut down the equipment being powered. When choosing their WPA system, medical staffers can select the DIONIC Logic Series battery of their choice, including the DIONIC 270 (which recently received UL 2054 certification), DIONIC 160, DIONIC HCX, DIONIC LiFe or DIONIC 90. The WPA system also comes equipped with a small 150W on-board charger that allows its battery to charge while the technology remains in use. 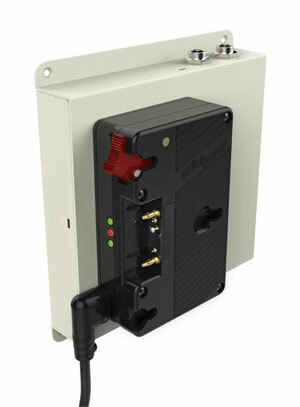 Utilizing the smallest and lightest charger and on-board power supply available, the WPA system power charger operates as a D/C power supply once the user has connected and turned on the computer technology. This unique system functions by separating the Gold Mount device from the power supply, allowing a user to simultaneously charge a battery and power the on-board computer devices. If the computer and/or other devices require more than 75W of power, the system automatically stops charging and performs solely as a 150W power supply. When the cart is turned off or the load is reduced below 75W, the charging system instantly resumes normal operation as a simultaneous charger/power supply. The WPA system averages two and a half to three hours of charge time, comes with an A/C or D/C adapter and is made of a lightweight, durable construction weighing less than seven pounds. For more information, visit www.AntonBauerMPS.com. Anton/Bauer MPS, a Vitec Group company, designs and manufactures Mobile Power Systems (MPS) for use with medical workstations and other mobile devices. Anton/Bauer MPS products include patented technologies that increase overall battery life and run times, specializing in both swappable and conventional base-mounted models in a wide range of configurations, size and chemistries to match any hospital’s needs for capacity, run time and other features. With more than 40 years of proven experience, Anton/Bauer is recognized as the world’s innovator and premier provider of multi-chemistry battery, charging and monitoring technology for the Mobile Power Systems (MPS) industry. The company’s headquarters is in Shelton, Conn., with offices in South America, Europe and Asia. Its parent company, the Vitec Group, principally serves customers in the international medical, broadcast, photographic and military, aerospace and government (MAG) markets.